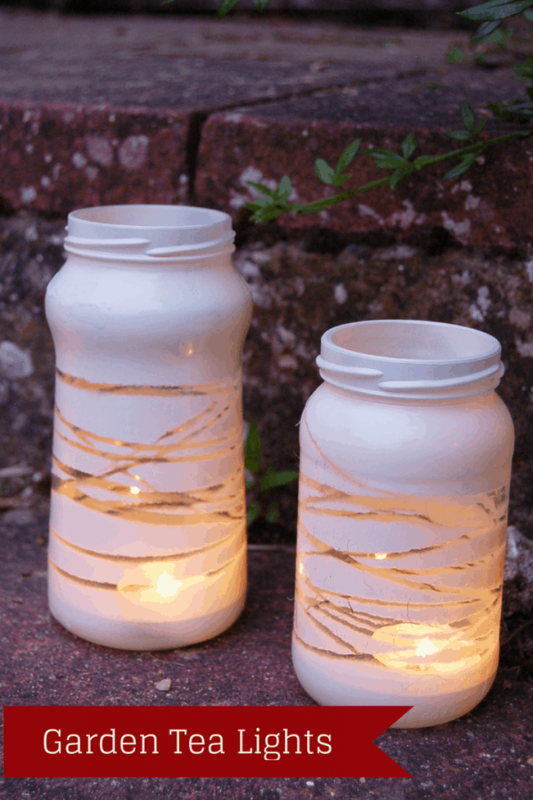 Fancy some cheap tea light holders for lighting up your garden during the summer months? I have to confess to a big birthday coming up, with a small get together planned. Having invited friends and family for a BBQ, I realised we have a zero budget for the event.. hence decorating the garden in a thrifty fashion! 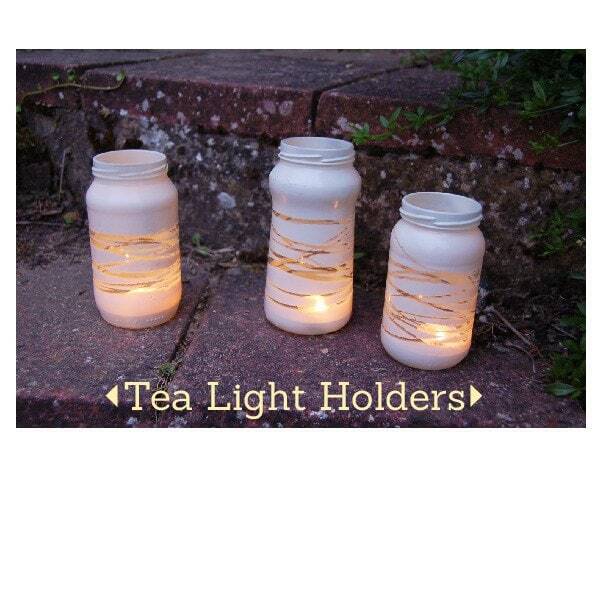 Create simple jam jar tea light holders. 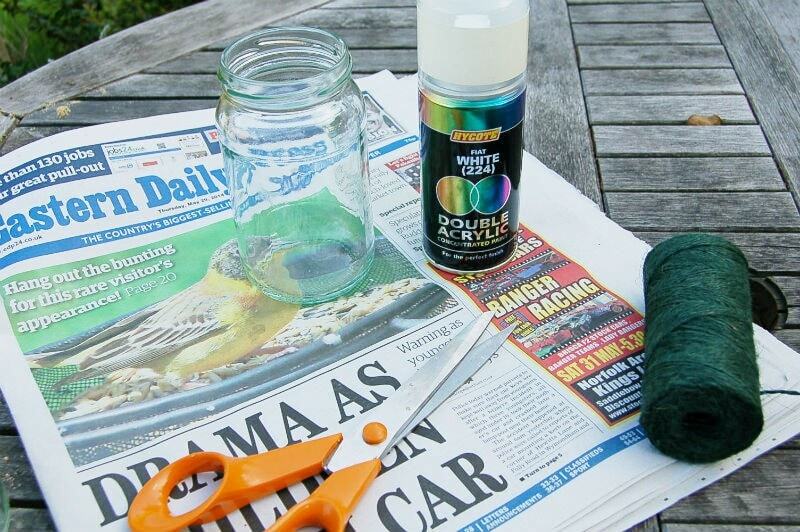 You will need a tin of car spray paint, string, jam jars, newspaper, and tea lights. Wrap string around your jam jars. 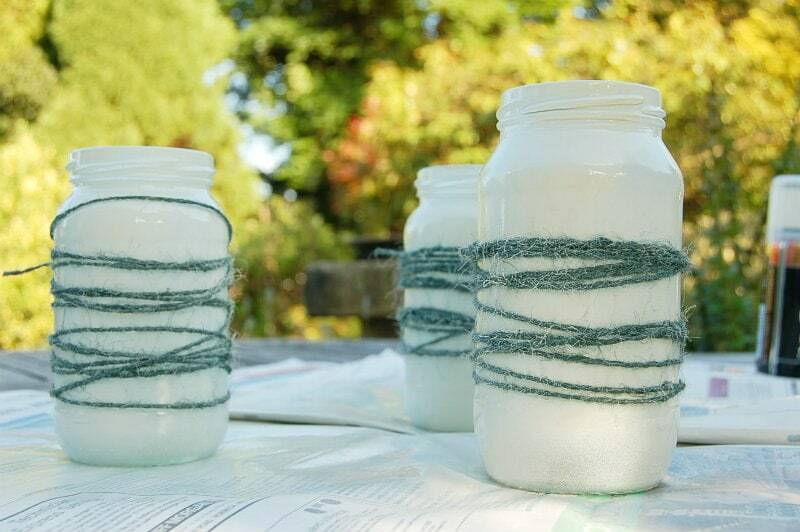 Some of these jam jars have been wrapped with string, some with garden twine to create subtle differences. Lightly spray two coats of paint. Be careful not to overspray to avoid drips. Leave to dry for 24 hours, and unwrap the string. 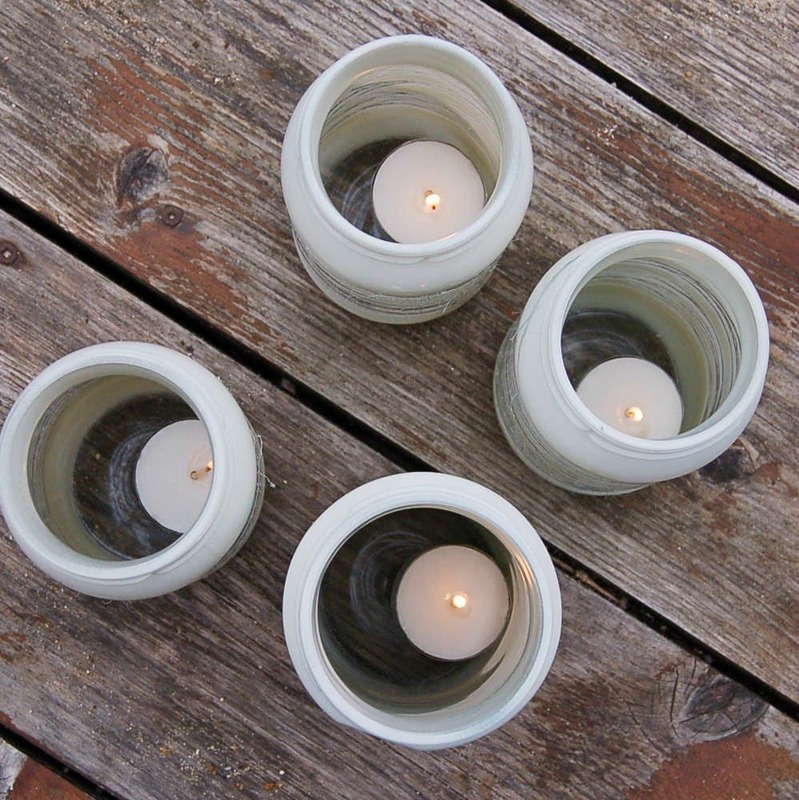 Add your candles, light and enjoy your cheap tea light holders:) Anyone for a BBQ? 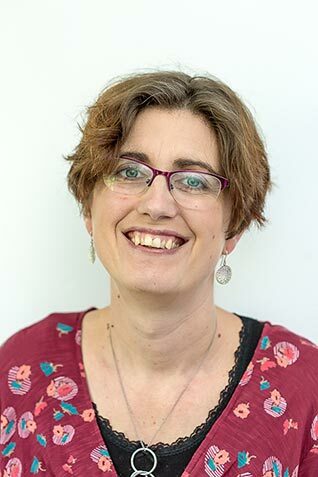 "The long put off mending pile"
What a lovely idea, thanks for sharing and I hope you have a very happy birthday. Thanks Lucy, it’s not for a while yet! 8 more weeks before a mid life crisis!! 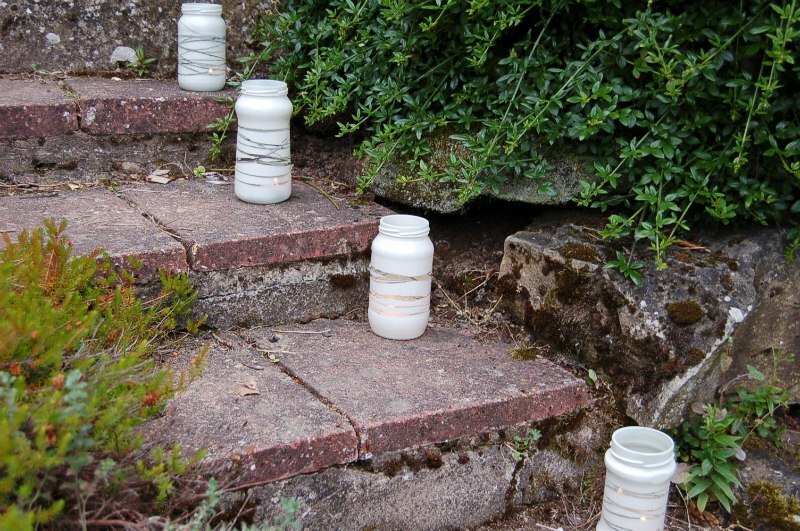 Lovely tea-lights Vicky – would be good to take on holiday too and just dispose of at the end! Thanks for sharing this great idea. They look very Pottery Barn like. I hope you have a great party! Jen recently posted…Smashing Fun! Paper cuts and books! Thanks, glad you like the pics – waiting for dusk and trying to capture the candles before it was too dark etc..! I love these! We always seem to have issues when we have evening parties as we have a large garden with lots of different areas and not enough outdoor lighting. Many tea light holders are too flimsy but these look very sturdy. They are definitely going on my summer holidays craft list; my youngest should be kept nicely entertained for a while making these with me. Thank you for a brilliant idea. What a wonderful idea! 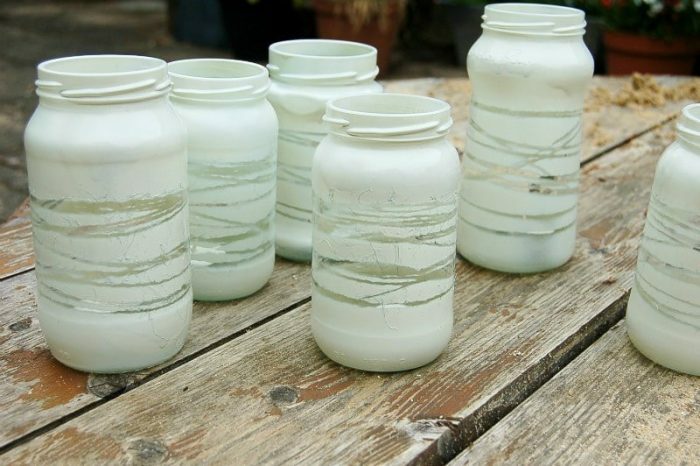 We have some silver spray paint in the shed….I’m going to make some of these one evening. Thanks! Michelle Twin Mum recently posted…The sad one about friends…. I’m going to work out how many jam jars one spray can can do… not thrifty for one..! Love these. so simple but effective. Now I just need to save up some jars before the OH bins them! I noticed quite a few jars in our recycling, although we save them all….! What a simple, elegant result!